The 2017 Wisconsin Hickory Open was to say, “quite unique” in many ways. Although the attendance was down, the enjoyment level never faltered. After taking a break last year to host the USHO, the WHO started off sizzling (literally). To begin, the average temperature for the entire weekend was 93-95 degree’s, with each day above 90. But, that wasn’t the only thing that was hot. 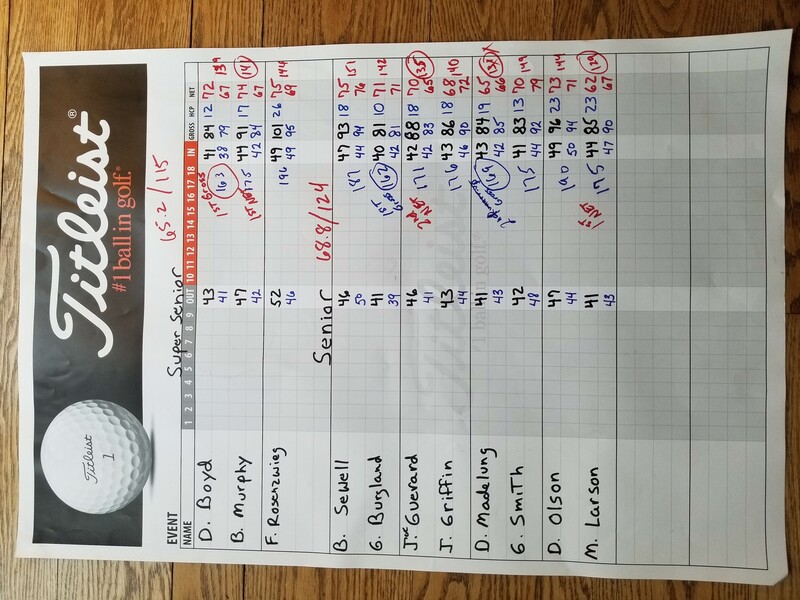 Thursday began the tournament with a 2 Man, Net, Best ball event during the practice round, and ended with decisive victory from the team of Frank Rosenzweig and Jim “Wally” Koss, with an outstanding round from Frank of 83 (with a triple bogey on the 1st hole) for a net 57. Day 1 started with the temperature in the mid-80’s by 9:00am. The sun was out with a light breeze. A perfect day for golf. 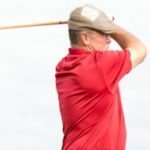 At the end of the rounds, Peter Flory lead the Open division with a round of 72, George Burgland leading the Senior division with an 81, and David Boyd with an 84 to top the Super Seniors. After a great evening of traditional Friday Night Fish, we began the second round Saturday morning with pretty much the same weather we had on Friday; sunny, warm with a slight breeze. After the final scores were tallied, the winners were recorded. Peter Flory won the Open division with a great score of 72/74/146, with 1st place Net going to Jeff Guerard with a 131. On the Senior side, George Burgland took the top spot with 2 great rounds of 81/81/162, and Mark Larson taking the 1st place Net with a 129. In the Super Senior division, it was David Boyd who claimed the victory with an impressive 84/79/163, with Bill Murphy taking the top spot in the net division with a 141. The WHO committee would like to congratulate all the winners, and thank Oliphant Management, The Golf Courses of Lawsonia and everyone who attended for making this another great event. We look forward to seeing everyone next year.